Honda Cars India Ltd (HCIL), leading manufacturer of passenger cars in India, today launched the new Honda Brio with Sporty and Youthful Exteriors, Premium Interiors and Advanced Features. The Brio has been given a bold new look with a High-Gloss Black and Chrome finish Sporty Front Grille and a Stylish Front Bumper. At the rear, the Brio gets a new and elegant Tail Lamp and an all new Tailgate Spoiler with LED High mount Stop-Lamp to add to its sporty image and overall appeal. The exquisite interiors of the Brio feature an all new Premium Instrument Panel with Carbon Finish & Silver Accents and smoothly Integrated Air Vents. The newly designed Triple Analog Sporty Meter with White Illumination lends the car’s interior a very premium appeal. The Brio offers many new advanced features including an Advanced 2 DIN Integrated Audio (USB and Aux-in) with Blue tooth Connectivity and Hands Free Telephony function making it a perfect car for an engaging ride. The Digital AC controls with Max Cool Function in the new Brio ensure a hassle free and comfortable drive for the occupants. The Brio is now available in Premium and Spacious Beige Interiors and new Sporty Black Interiors (for the top variant). The interiors come with enriched seat fabric to add to its premium appeal. 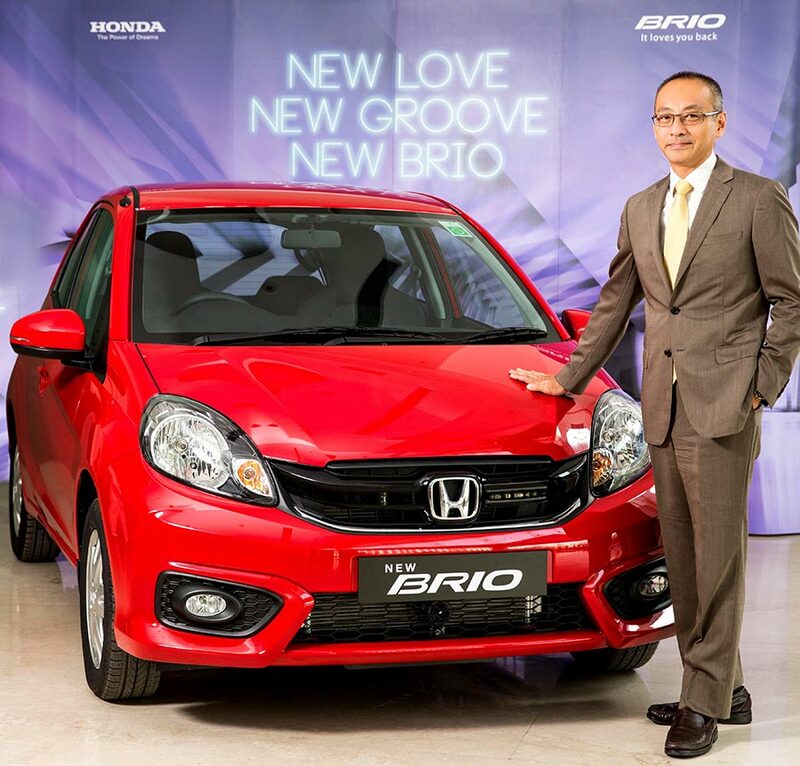 The Brio remains an embodiment of Honda’s engineering prowess and manufacturing excellence. Brio has the distinction of being the Industry Topper in Quality scoring No1 position in the J D Power IQS results year after year. The car is not just ‘made for the people’ but ‘made around the people’. The new Brio is an all-rounder – spacious, comfortable, looks good, has a fabulous effective engine, and delivers great fuel economy. Honda Brio comes with a 4-cylinder 1.2-litre i-VTEC engine that delivers maximum output of 88 PS @ 6000 rpm and Torque of 109 Nm@ 4500 rpm. The Brio comes with 5 Speed Manual Transmission and 5 Speed Automatic Transmission giving fuel economy of 18.5 km/ l and 16.5 km/l respectively, as per test data. The small turning radius of 4.5m for Brio MT and 4.7m for Brio AT helps make the car extremely easy to drive and manoeuvre in congested city traffic conditions. The Advanced Compatibility Engineering™ (ACE™) body structure of the Brio enhances self-protection while mitigating damage to other vehicles in the event of a collision. The Brio features host of Honda’s active and passive safety technologies including Dual SRS airbags, Anti-Lock Braking System (ABS) which prevents wheel locking, Electronic Brakeforce Distribution (EBD) which enhances braking performance, Seat Belt Pretensioner with load limiters and Impact mitigating headrests. The front body structure of the Brio is equipped with Pedestrian Injury Mitigation Technology designed to absorb impact energy. The Honda Brio comes with the standard 2 year/ 40,000 kms warranty. 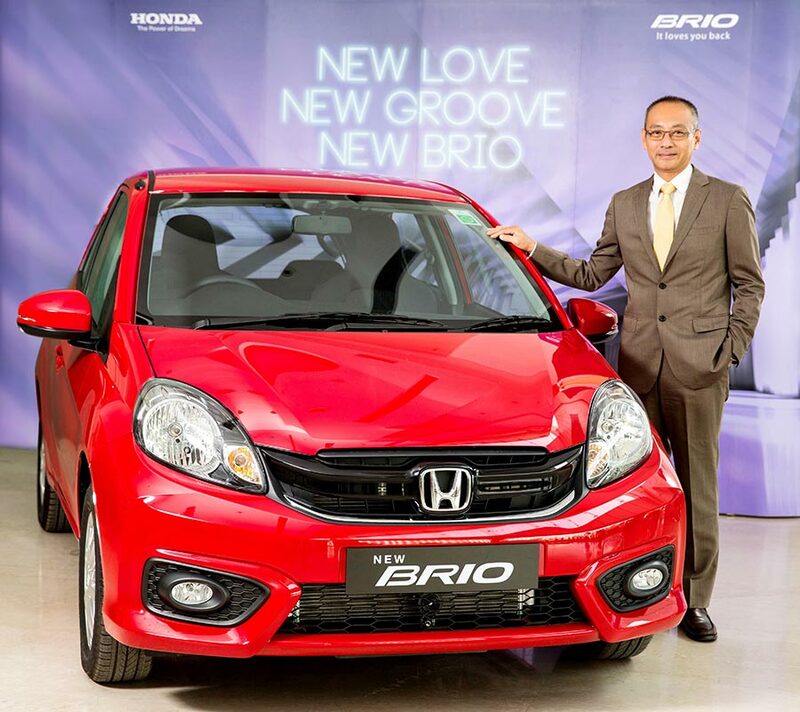 What’s your take on 2016 Honda Brio launch in India? You can add more to this story by commenting below. Do not forget to subscribe us on Youtube and like us on Facebook for all the latest in Indian automobile industry.